You can make SQL Server database backups with the help of T-SQL Commands or with the help of SSMS and then move them to OneDrive. But how much time it will take you to do it? 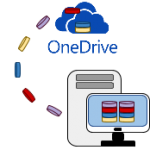 Use SqlBak and spend 5 minutes to create a backup job which will make schedule backups and send them to OneDrive. From the very beginning, you need to create a backup job, to do it go to the Dashboard page and press “Add new job” and then choose “Add backup job”. 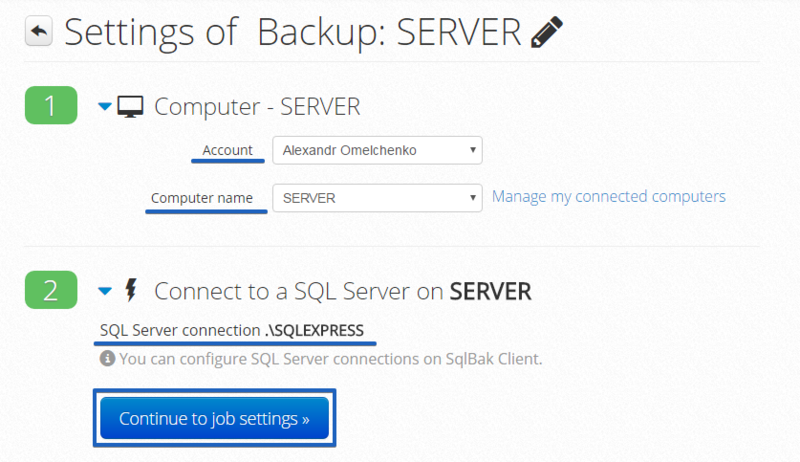 In the “Settings of Backup” page choose the computer where SQL Server is located and check you SQL Server connections. Press “Continue to job settings” to continue the backup job settings. 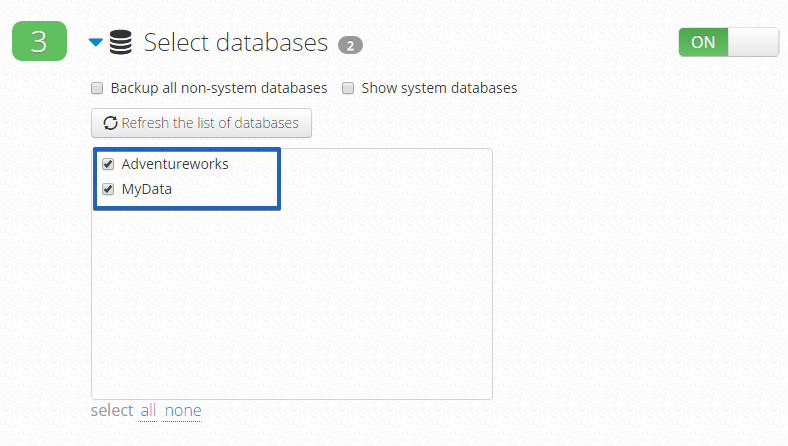 Now select a destination where are you going to store your SQL Server database backups. 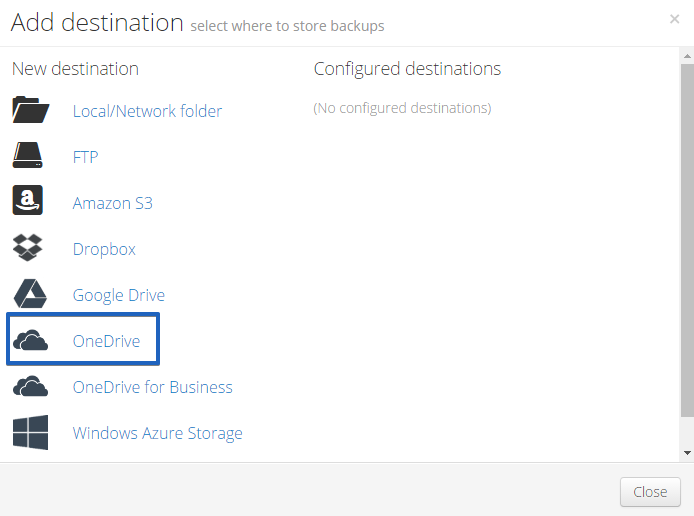 To do it click “Add backup destination” in the “Store backups in selected destinations” section. Select a folder on your OneDrive and click “Test” to check your connection, do not forget to press “Save & Close” to apply all settings. Press “Schedule backup (full, diff, tran log)” to set up backup settings, click “Show advanced backup schedule” and set up the schedule as needed. Also, you can press “More settings…” at your “Settings of Backup” page to find more different backup settings such as E-mail notifications in case of failure or success, Encryption and Compression, also add Custom scripts or add some local folders to backup. As you can see it takes about 5 minutes to create SqlBak backup job which will make backups according to your schedule and send them to OneDrive. Can your tool be used to automatically backup Azure SQL dbs to Microsoft’s One drive?